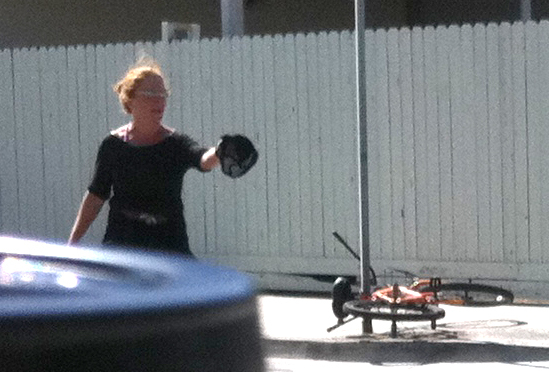 LAPD was called to Speedway and North Venice today where a female transient was punching cars, screaming at passers by, reaching into cars and following people in a violent manner. The woman was seemingly under the influence of narcotics and was extremely combative. She was walking in traffic, getting in the way of cars trying to enter the parking lot and yelling at people to buy her “altar”. 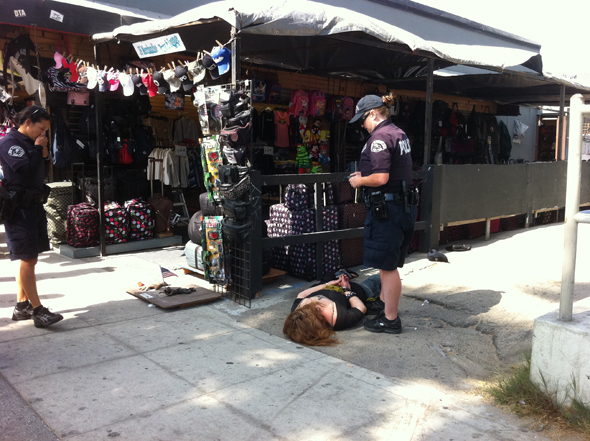 When LAPD pulled up, the woman looked stunned, and turned to her shopping cart to walk away. Officers stopped her, and as she stood with her hands behind her back – as one officer reached for her handcuffs the woman jerked and broke away and ran as fast as she could through the crowd. Two female officers immediately followed her in a foot pursuit where she was detained. 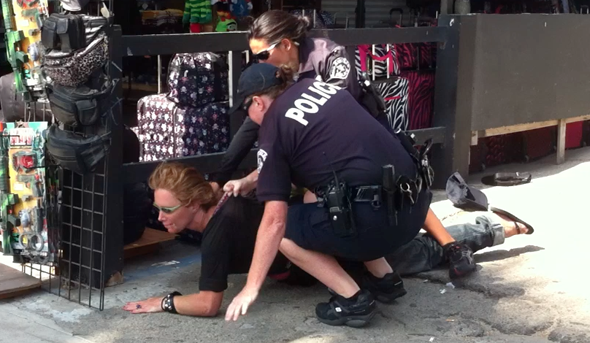 She continued to fight officers until she was securely cuffed. From the results on the police scanner, she is wanted for felony warrants in the state of Washington… apparently some pretty gnarly stuff. Her time in Venice has come to an end.